MSD is holding the first in a series of public hearings regarding a proposal that would increase customer wastewater rates to help fund more than a billion dollars in needed wastewater system investments. The Metropolitan St. Louis Sewer District's independent Rate Commission is holding the first in a series of public hearings Monday on a proposed rate increase. The proposal would increase customer wastewater rates to help fund more than a billion dollars in needed wastewater system investments between July 1, 2012 and June 30, 2016. Storm water rates would not be affected by the rate increase. 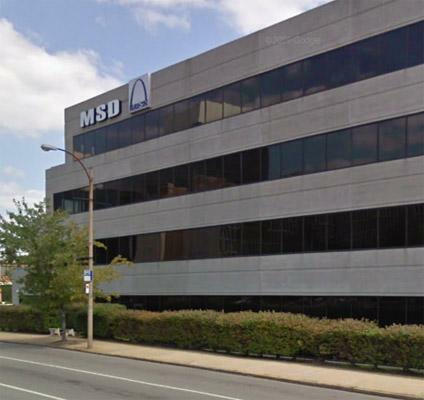 The public hearing is from 9 a.m to noon at MSD headquarters on Market St. The Rate Commission will have a recommendation to MSD's Board of Trustees in Oct.
A southwestern Missouri school district is making plans to build a nearly 14,000-square-foot tornado shelter on its high school campus. The Neosho district applied unsuccessfully last year for funding to build a shelter. But a public engineer told the Neosho R-5 School Board last week that prospects are better now for getting a grant from the Federal Emergency Management Agency. The Neosho Daily News reports the shelter would hold about 2,200 people and be designed to withstand an EF-5 tornado - the same strength as the tornado that devastated Joplin, about 20 miles to the north, in May of this year. Neosho is the seat of Newton County, where a tornado killed more than a dozen people in 2008. The Illinois Supreme Court has overturned a $43 million award stemming from a fatal car crash in southwestern Illinois. Back in 2003, John Jablonski and his wife were rear ended in a highway construction zone on I-270 in Madison County. The other driver told authorities she was looking for sunglasses and had taken her eyes off the road. The fuel tank on the Jablonski's 1993 Lincoln Town Car was pierced in the collision, causing it to burst into flames. Mr. Jablonski was killed, his wife severely burned. She later sued Ford, claiming the location of the gas tank was a defective design. A jury agreed after evidence that pointed out Ford had sent notices to police departments and government agencies that owned some of its vehicles warning against packing items in trunks that could rupture the fuel tanks. But the state's high court says Ford complied with industry standards and added a company is not required to guard against every degree of risk with a product. A statement from Ford says the firm is gratified by the decision.